Here we go. Welcome to 2016 and the first post of the year. What do you think it should include? A traditional story of me walking somewhere and falling over or something a little different? A week ago I’d actually started a couple of posts, but their sameness left me de-mojoed and I haven’t finished them yet. Ah, but this is a new year with a new start, so in order to keep the motivation high, I’ve decided to mix things up a little. Sure, there will be the usual fare of me walking and almost dying, but I think a few different topics can be sneaked in from time to time. 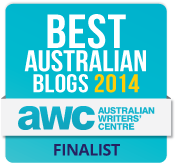 If I stick to the standard stuff, how the hell will I win the Miles Booker Franklin Man Pulitzer award? Anyway, before I get into this entry, how did the festive season go? Did everyone survive Christmas Day? Were you burgled in the middle of the night by a portly man wearing a disguise who crept around your house in the dark and ate your cookies and milk? How about New Years Eve? Was it an evening in Caligula style? Complete with togas and standard Roman debauchery? As to be expected, mine were a little different than most. On Christmas Day a bizarre gust of wind blew my roof off. The result is I’ve now got five blokes on my roof right now, which is making writing problematic, as I expect one to fall through and land in my lounge-room any minute. I think this roofing company is sponsored by Jack Daniels, as they’re all resplendent in some sort of JD’s attire. How about New Years Eve? Ah, again it might be classified as unusual, but its result was the consequence of events the day before. Heading back in time, to the early evening of December 30, I was lying on the couch in my usual summer attire of leather shorts and fishnet singlet, cursing the warm weather. As I lay there a few texts came through and essentially they told me I should get my arse outside, as there was a nice sunset occurring. I didn’t really need to be told though, as I could tell by the strange glow of filtered light, washing across the construction boots I was wearing that it had to be colourful. The thing is, I knew what it’s like at my place. The best bits of the sky are obscured by suburban furniture. House roofs, power poles, power lines and bogans aplenty, so I thought I’d give the setting sun a miss. Except I couldn’t. I was drawn outside and it was exactly as I expected. A sea of flame in the western sky was definitely photo worthy, but the results would’ve been crap if I just took pictures from the front yard. Instead, I thought I’d try something different. Hopping in the car, I powered to a spot about 15 minutes away, which would give me a clear view of the sky. I’d been there before and I’m familiar with it’s flat, wasteland look. Due to speed cameras, I remained lawful and arrived at the western desert outskirts. 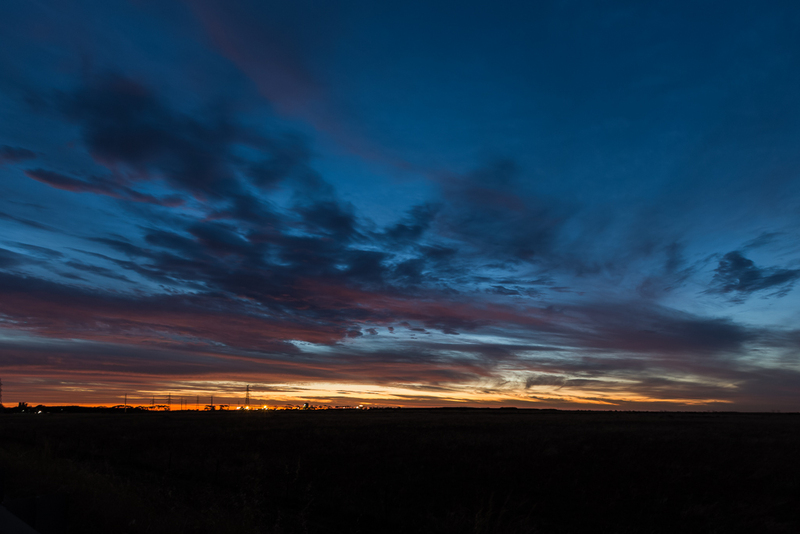 Jumping out of the car, I set up the tripod and powered up the camera, except there was one thing absent. I’d missed the sunset. …when what appeared to be an Exocet missile headed my way along the road. Flying in my direction was a car travelling at high speed and I just knew it was going to stop next to me. Which it did. In the dim conditions, I had no idea who I was talking to. His voice was suitably deep and authoritative, so he could have been built like Haystacks Calhoun. Then again, he may have looked like a shaved bicycle spoke and was talking with a 44 gallon drum on his head instead. I didn’t have a clue, but the response to my answer was, “Mm… Okay then”. Then there was one of those awkward pauses where no one is talking, but both parties are staring at each other. I had nothing more to add and clearly he couldn’t think of something either, so after about 15 seconds the sticker clad car drove off. What was that all about? Don’t ask me, but I assume it was the area where I was standing. Further down the road a new prison is being constructed and maybe he thought I was getting sneaky shots, so I could get the inside juice on the way it was being built and then launch an escape plan once it was up and running. Maybe. 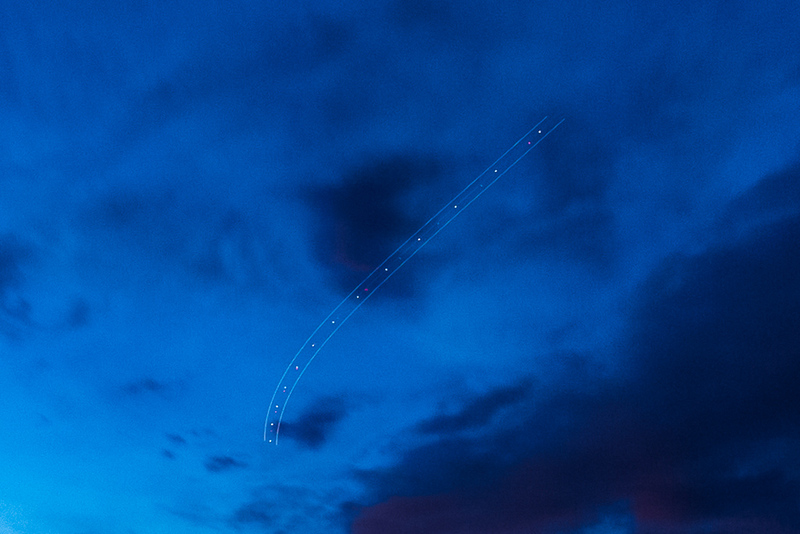 …but at least for something different, I captured the lights of a plane banking during a long exposure. There you go. That was December 30 and I’d been left completely photographically unfulfilled, so I decided to make amends on New Years Eve, even though it was the end of the year. Shouldn’t I have been thinking about partying hard, rather than being a nerd by going out in the dark and taking photos at midnight? NO. Is there anyone over the age of 20 who thinks New Years Eve is ace? In the last five years, I think I’ve been in bed by midnight and only stayed awake to watch the illegal suburban fireworks rocketing around my house. This time though, I would stay awake, but would be anywhere but the ‘burbs. Coastal sounded ideal and for some reason I thought I should go somewhere iconic. 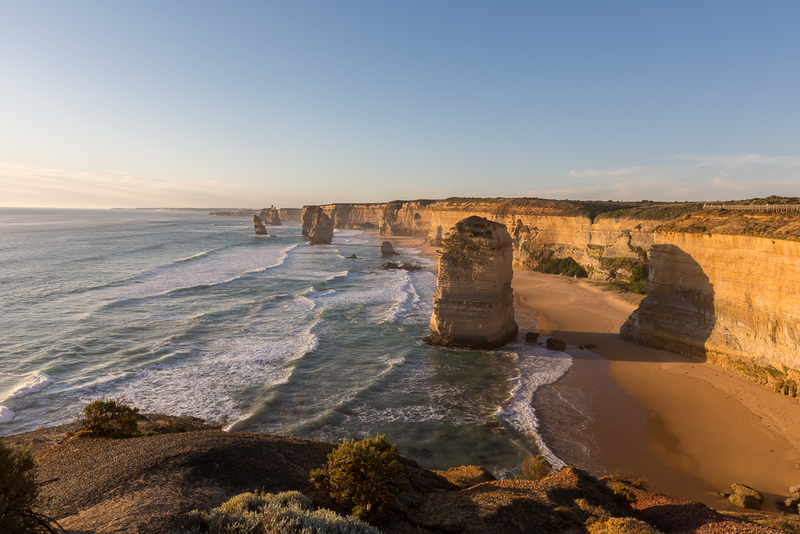 The Twelve Apostles seemed good enough and they weren’t too far away. 221 km to be exact. I figured I could leave around 3 pm and cruise down for some day time shots, before setting up for sunset and beyond. There was another reason the coast sounded good. New Years Eve was stinking hot. When it’s 40 °C at home and the place you’re thinking of taking photos is 26 °C, then not a lot of thought is needed to head straight for the ocean. I guess it’s not too bad, considering the day I was watching some half-baked news and the weather forecaster was giving the predicted top temperatures for cities around the world. There he was, gleefully announcing, “…and tomorrow it’s forecast to be 48 °C in Baghdad!” That’s really hot, isn’t it? Even worse, is I don’t think electricity is reliable in those parts. Anyway, come 3 pm, I was out the door and powering towards the Twelve Apostles. 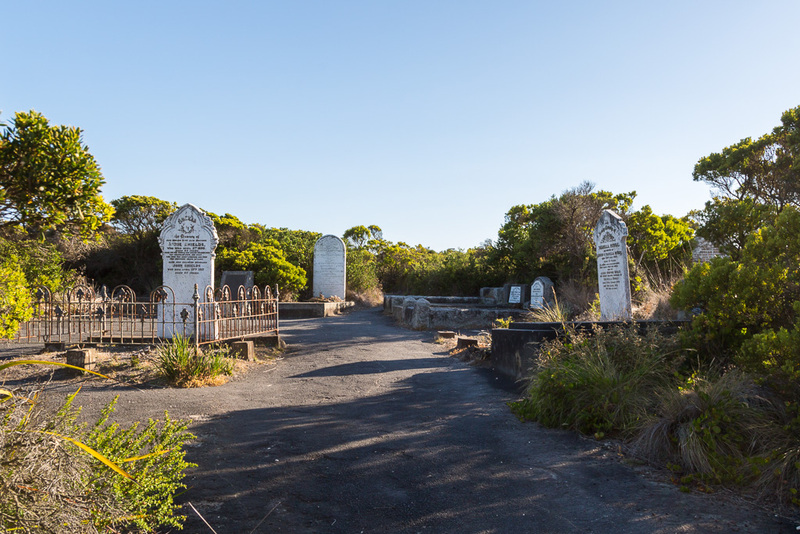 Oh, for you lot who are really interested how I got there, I took the inland route via Colac. In fact, that was the only place I stopped at on the way, as I passed one of those ‘Driver Reviver’ spots, where they give out a free coffee to sleeping motorists. What’s the go with old blokes? I just knew they wouldn’t agree with me and on cue they delivered. “Hot? No, this isn’t hot!” Yeah yeah, I get it, young whipper snapper from the big smoke who’s a bit soft (99% true, but anyway) routine. I’m not sure why they couldn’t agree, as it was actually sizzling, but their response was fairly predictable. Oh, how was the coffee? Let it be said its cheapness was brutal to taste, but the overall effect was efficient. I was a driver and I was revived. 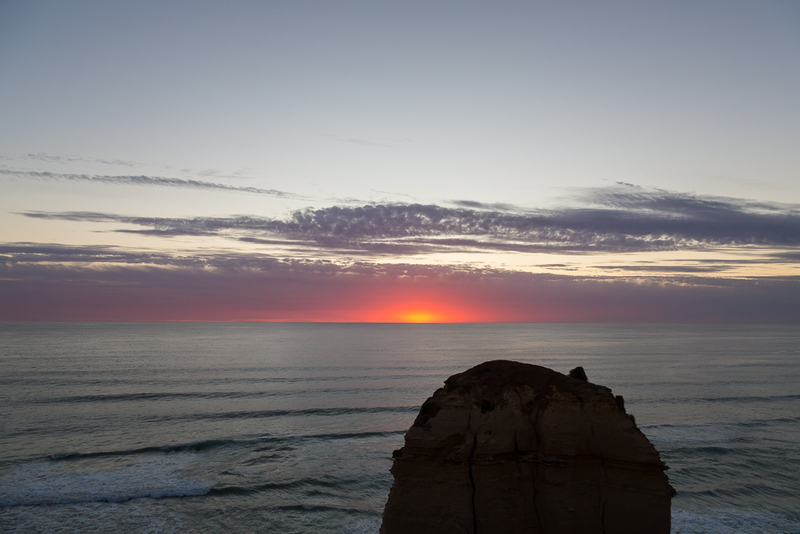 Reaching the Great Ocean Road in pretty quick time, I had a few hours to kill. The Twelve Apostles carpark was bedlam, so I thought I’d go somewhere else for an hour or so. A bit further up the road sits Loch Ard Gorge and it seemed a perfect place to go for a wander. 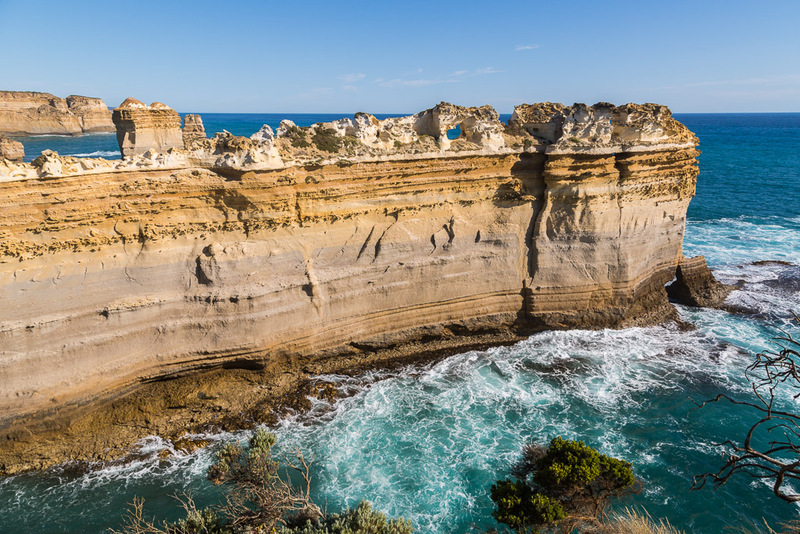 I hadn’t been to the gorge since a winter trip in 2009 after my first Great Ocean Walk tilt. Then it was deserted, so I was interested to see if the place was any different. It looked the same, but it was no sleepy hollow, as it was jumping with people. Grabbing the camera, I wandered off along a path, before spotting an unusual animal crossing the pavement. “Oh my god, it’s an enormous rat!” I screamed internally. Except it wasn’t. Yet again, I ballsed up the ‘sudden snapshot of a moving animal photo’. You may have read about my previous disaster when I spotted a feral cat in the Dandenongs, but if you haven’t it’s detailed here. I really, really need to sit down and create a setting I can switch to for when a picture like this is needed. Firstly, it needs to have spot focusing set, because if you don’t, this is what you get. Instead of the animal, the camera focused on the grass in the foreground, so I’ve ended up with a blurry mess. Anyway, I thought I’d put the photo in for the hell of it. What’s it of though? 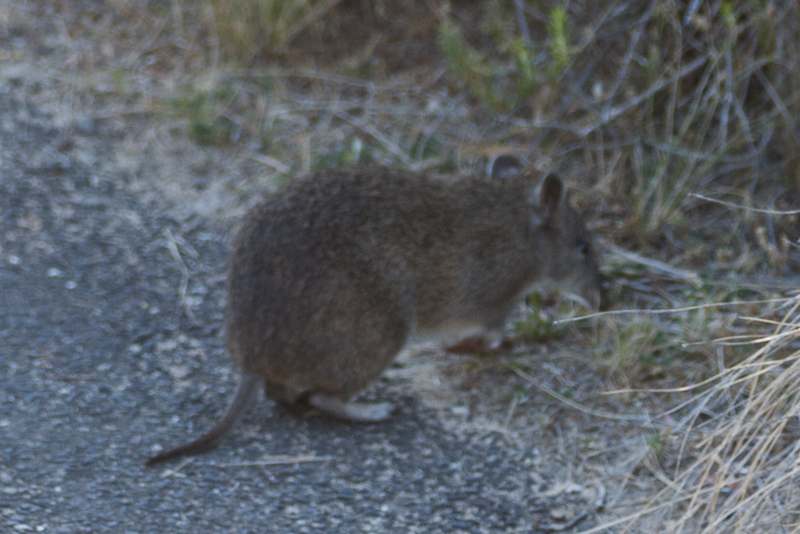 I’m not sure, but I think it’s a native bandicoot. Leaving the out of focus animal behind, I ventured to the look outs where standard coastal fare for the area was on offer. 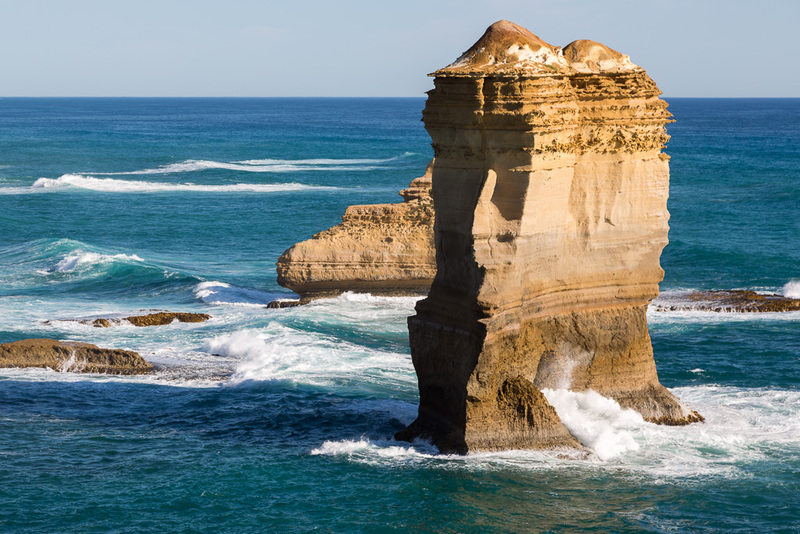 Huge sandstone pillars in the ocean. A light sea breeze was a relief from the stifling heat of the city, so conditions were perfect. Except for billions of flies, but one can’t have it all. …and I was intrigued by this hole. I wonder how many shots it would take to throw a ball through? A hundred? A few more? Maybe a million? The only trouble with this lump of rock is I couldn’t fit it all in the one frame, as I didn’t have the wide angle lens on the camera. So I compromised. Yeah okay, it looks like crap, but hey, it’s in the one frame. Either align your computer screen until it’s straight or increase your Pilates sessions, so you can be flexible enough to bend your body into the required position. 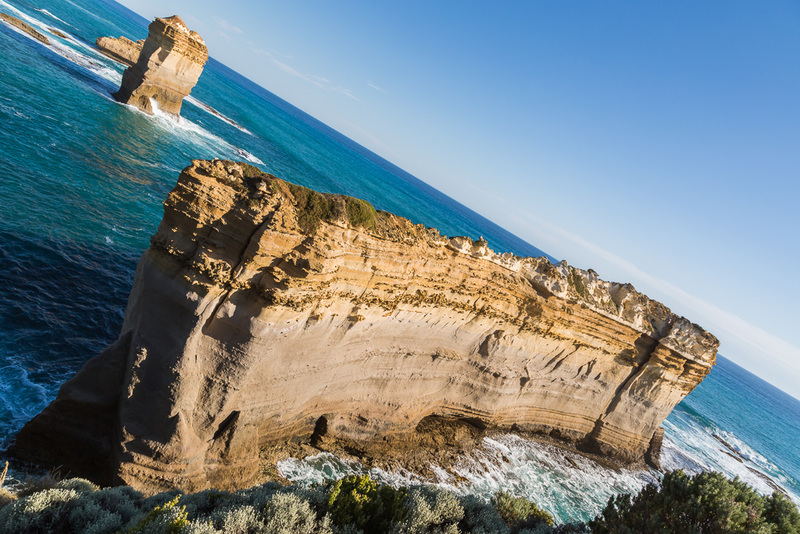 …before heading back to the Twelve Apostles. I’d managed to pad out an hour or so and with sunset due at 8.55 pm, I thought I should wander to the traditional lookouts with a half hour or so to spare. Mind you, the place was bedlam. I forget how popular the place is and certainly New Years Eve didn’t make much of a difference to the numbers of people crowding the viewing platforms. …before sitting back and waiting. I wanted photos after the sun had set, so figured it was no use going nuts and draining my camera battery for no reason. Actually, I think it was more entertaining to watch the people around me than try and take pictures, as it was madness. Some bloke set up a full blown drone with a camera attached and set it off into the sky above the ocean and Apostles. I was impressed with his skill, as I was sure he might lose control and send his craft plummeting into the surf. There was also some astonishing camera gear being toted. The Nikon 800e was a popular choice and I watched one bloke take so many photos from the same spot, I began to think his OCD had kicked in. I reckon he took a few hundred and after about 15 minutes he looked through the images he’d taken, shook his head and then bailed me up. I’ve absolutely no idea what he was asking me, as I’m a lumbering Australian and he was a middle-aged Japanese bloke who couldn’t speak English. I think, although I’m not sure, he wanted to see the camera settings I was using. I showed him and he looked, but he appeared non-plussed. He was probably wondering why I showed him my camera, when what he actually wanted was the time. Anyway, as the madness continued, I thought I’d take a few photos. I figured if I was looking through a viewfinder, then no one would bother me. There was a bit of sameness to the scene though, so I screwed on a NDx400 filter for some 30 second day time exposures. Surrounded by people, another problem surfaced. The wooden boardwalk was constantly vibrating, as dozens of kids jumped up and down. Leaden footed people would also walk past and I lost quite a few of the long exposure shots. Another bloke carrying his tripod across his shoulder accosted me and proclaimed, “It’s no good! The ground is no good!”, whilst pointing at the timber planks before walking off. Clearly, he’d snapped and given up. I even screwed the filter back on for some longer exposures. You know what? The sun went down and the show seemed over. I was there to capture some amazing glowing colours, but it was a bit of a damp squib. 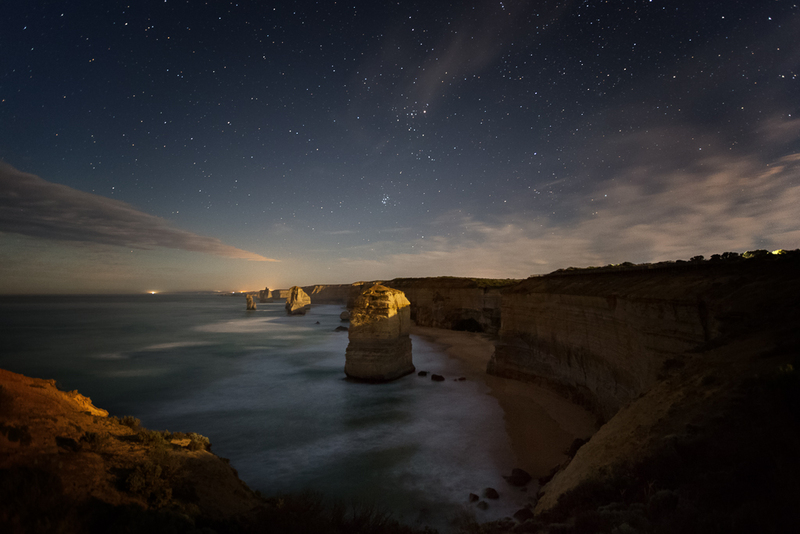 I’ve got hundreds of Twelve Apostles photos, so I figured I’d missed out for the day, as the twilight wasn’t very special. Ah, but don’t forget it was New Years Eve. There’s no way I was going to drive back home like a chump and cross the midnight hour whilst sitting in my car. No, I was going to sit it out to well after dark and I had one trick left up my sleeve. 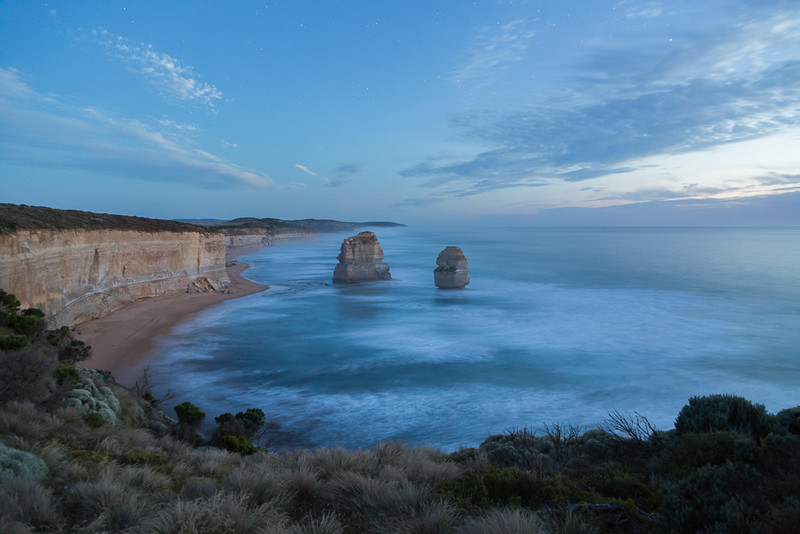 The moon was due to rise at 12.27 am and I figured I might get some nice moon shots over the Apostles. The problem is I’d have to wait about three hours for it to happen. 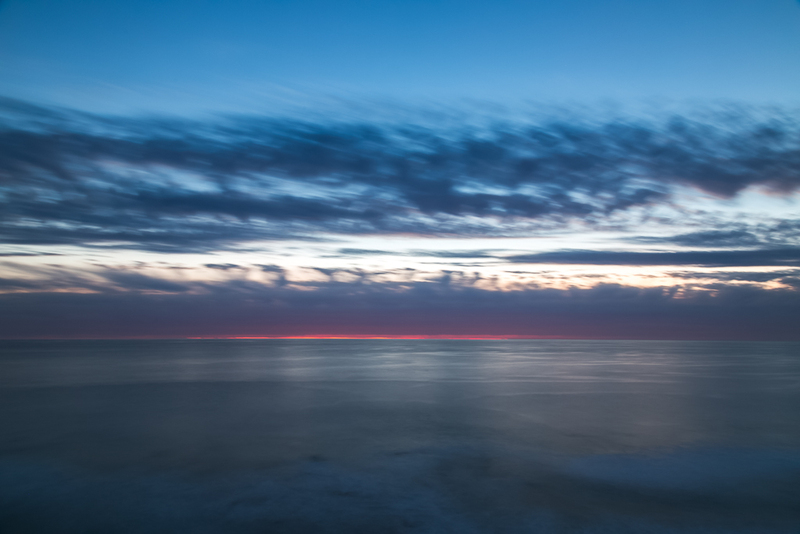 As darkness settled, the area rapidly thinned out and only a few hardy photographers were left, standing with their tripods, scanning the ocean. I’d taken most of photos showing the traditional view west, but I thought east might work, as a sea mist began rolling in. It was a bit hard to see, so as I set up the tripod in a new position, I really had to crank up the ISO and lengthen the shutter speed. As it went from getting dark to actually can’t see a bloody thing, I pondered what I’d do for a few hours before the moon arrived. 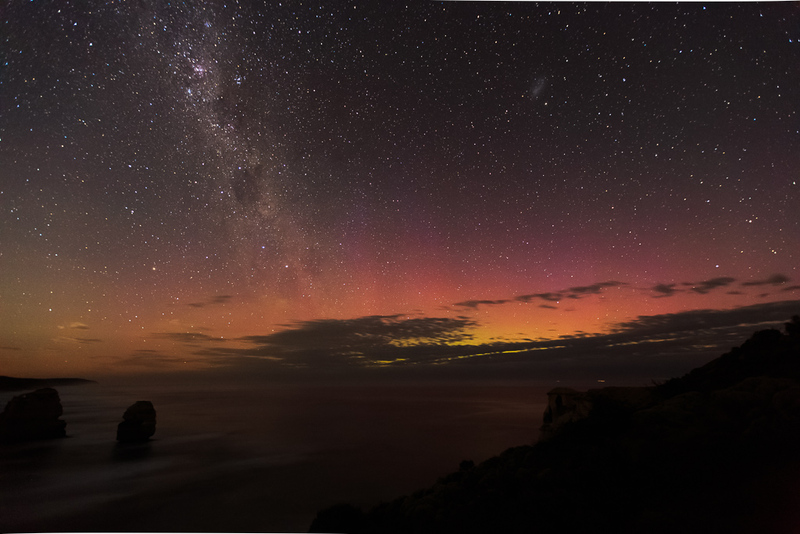 It was then a couple of people nearby with their camera set up asked me if I was there for the Aurora Australis? Huh? I wasn’t, but now I was intrigued. I’ve looked at aurora photos before and I do get email notifications regarding solar activity, but I’d never attempted to capture the shimmering lights. The main reason being is you’ve got to be somewhere dark (the city isn’t) with a clear view to the south (I can’t see the south. A house is in the way) and the best time is often the early hours of the morning (I’m sleeping or watching crap movies from the 1980’s). Also, there was one other small problem. I didn’t have a clue as to what camera settings to use. 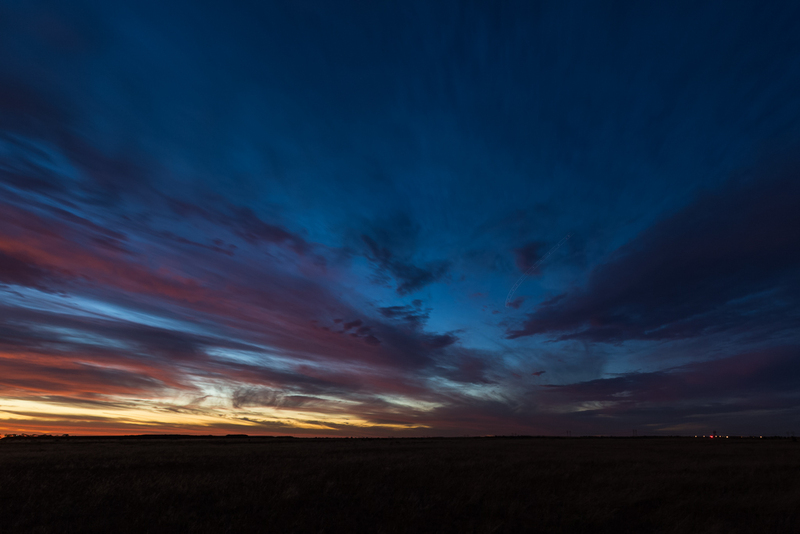 Once, I’d read about a night photographer who says he always starts with a benchmark setting. ISO 3200, 30 seconds, f2.8. Okay? Sounds good to me. 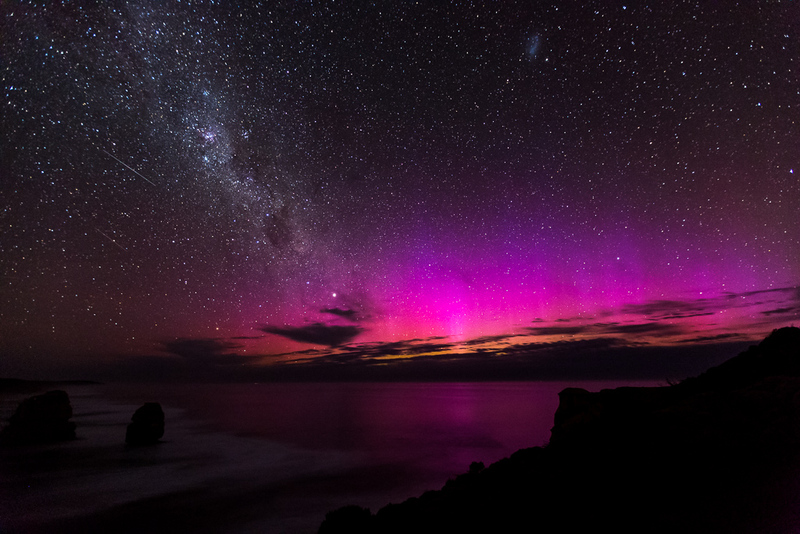 The helpful pair told me the aurora was to the south (is that why they’re called the southern lights?) and activity was due in an hour, so I went through the rigmarole of trying to focus the lens when I couldn’t even see my own hand. I took a number of test shots and altered the focus each time, until it reached a point where the stars were sufficiently spot like, rather than big blobs. 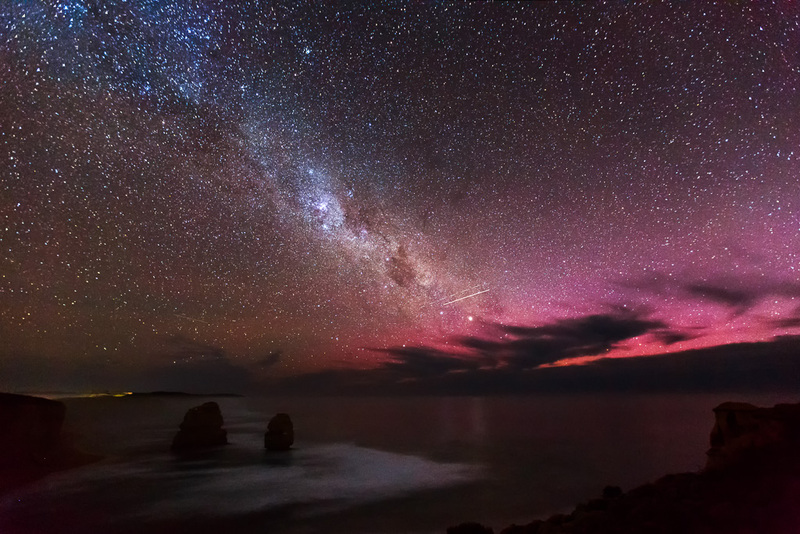 I must say, looking across the ocean, the Milky Way really stood out and already an unusual colouring was appearing on the horizon in the images. Oh, when I was a kid, I’d look at the stars and sighting a satellite was a big moment. How times have changed. In at least half the photos I took, there’s a satellite whizzing through. I could get rid of them in processing, but I don’t mind them being there. It was then I realised something about the aurora, which I didn’t know before. 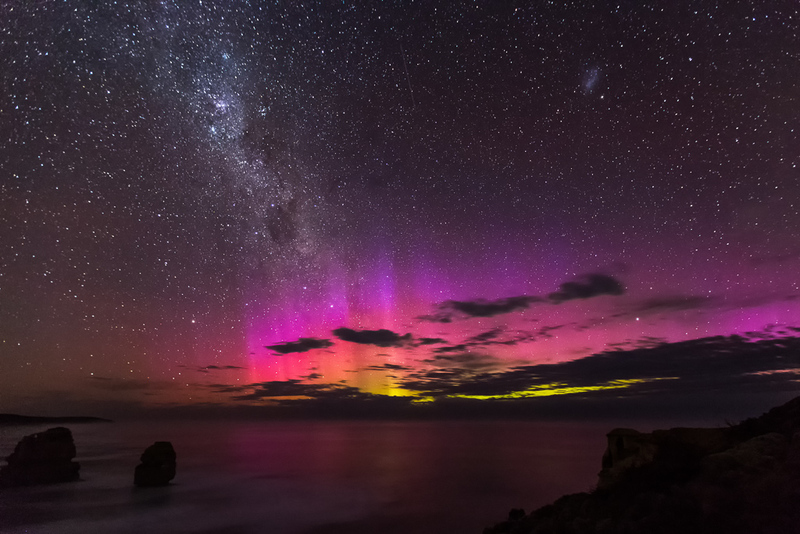 Aurora Australis is formed by charged particles from the sun interacting with atoms in our atmosphere, but I couldn’t see those vibrant colours. Is it the great aurora scam? Is this the same with all auroras? I might need to do some research. Looking out across the ocean, a distinct weird light was appearing in different levels of intensity, but instead of being colourful, it was a whitish/grey. In photos though, the result was remarkably different to what could be seen through the eyes and the next photo sums up the evening. 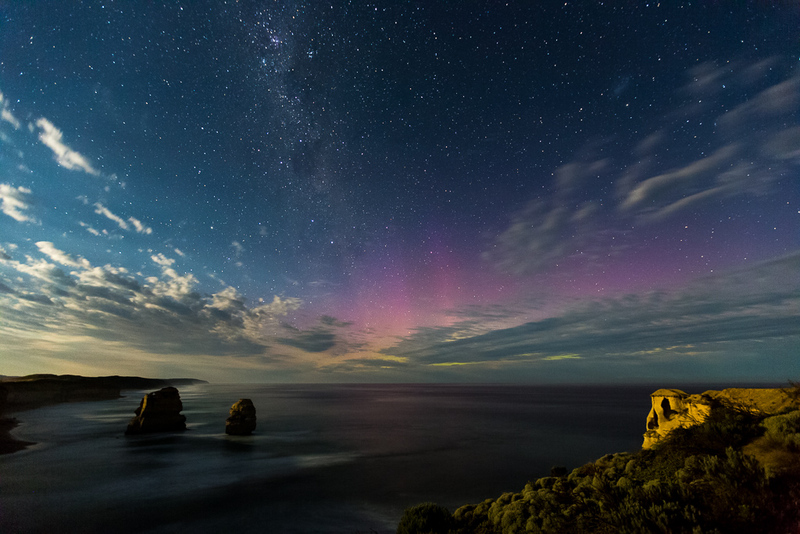 The aurora on the horizon, satellites flying by and the occasional car headlight along the Great Ocean Road. …as they altered in intensity before vanishing again. Man made objects in the sky were easy to capture, but I was hoping for a shooting star and eventually I got one. A lump of cosmic dust or rock had probably travelled through the universe for a few billion years, before flaming out in front of my camera. I’m sure this piece of cosmos would be happy to have been captured in an image. If it wasn’t for the clouds on the horizon, I think a band of green light would have been more prominent. Well, on photos anyway, as I still couldn’t see any colours. Meanwhile, my eager photographic companions were proclaiming a solar storm was forecast in an hour or so. If the photos were looking this good, then how great could they be during a storm? Except there was now a complication. …with every minute, the darkness and colour was being sucked out of the sky, as the enormous lamp continued to rise. 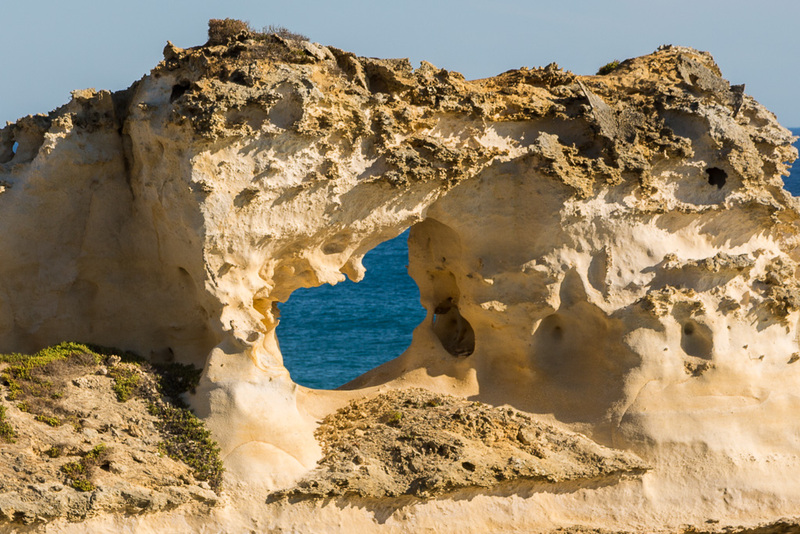 In only a short time the light was so bright, I was casting a shadow on the ground and cliffs which weren’t visible previously, were now appearing cast in an orange glow. It’s hard to believe the change in such a short time, but the sky went from night, into a weird sort of daytime that wasn’t. …and that was that. What do I make of it all? Firstly, in all the excitement, 2015 had passed by and 2016 arrived without me even realising it. Secondly, it may have been the best New Years Eve I’ve ever had and I’m not even joking. A pleasant, warm breeze from inland kept me comfortable in shorts and above me I was surrounded by shooting stars, satellites, the Milky Way, the aurora and the sound of surf breaking on the cliffs below. Surely this was better than hanging out with people getting plastered and urban noise, not to mention the occasional illegal firework flying by the house, which would then unleash the barking of a hundred freaked out dogs in the homes around me? 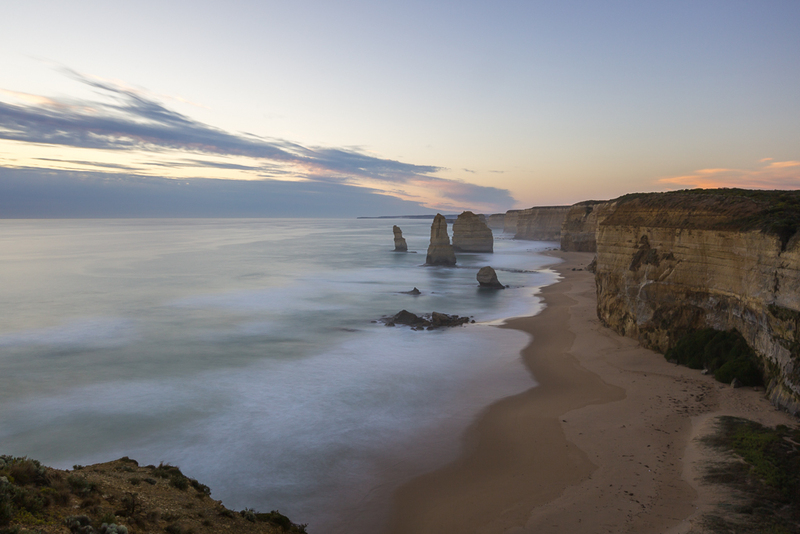 I left the Apostles at 2 am and arrived home at 4.30 am. Thirty years ago, if I arrived home at that hour on New Years Eve I’d have thought it was a good night, as I would have been off my rocker, but times have certainly changed. What’s next? I’m not sure. It could be one of the hiking posts I’ve half done or it could be about teeth. Sure, the latter might sound incongruous, but it’ll all make sense when it’s posted. Like you, I’m into photography as well as hiking (and I enjoy a touch of humour too). I’ve never photographed an Aurora but I hope to one day. Well that’s one way to spend a New Year. It sounds a lot better than having to listen to a mob of screaming drunks in the city. After saying that I live in the Macedon Ranges and the first thing I knew of the New Year was looking at my clock and realising that it was 2:00 and wondering if there was anyone out there as it was so quiet. At least you got some good pictures. Great post. Aurora is something I have to see. I really wanted a different NYE experience and I loved it. One of those moments where it all fell into place on the day and not likely to be repeated, even if I try. 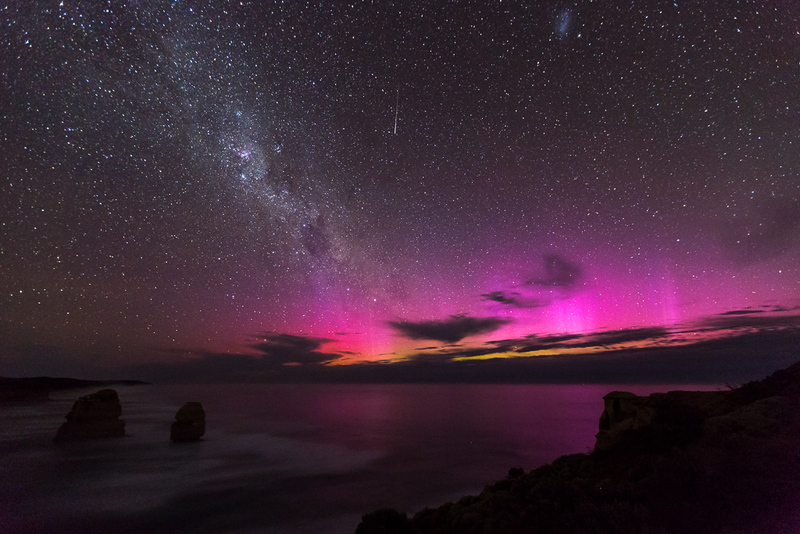 The weather, aurora, the moon and even a blurry bandicoot all delivered in their own way. Unlikely to be the same if I tried the same thing this year. 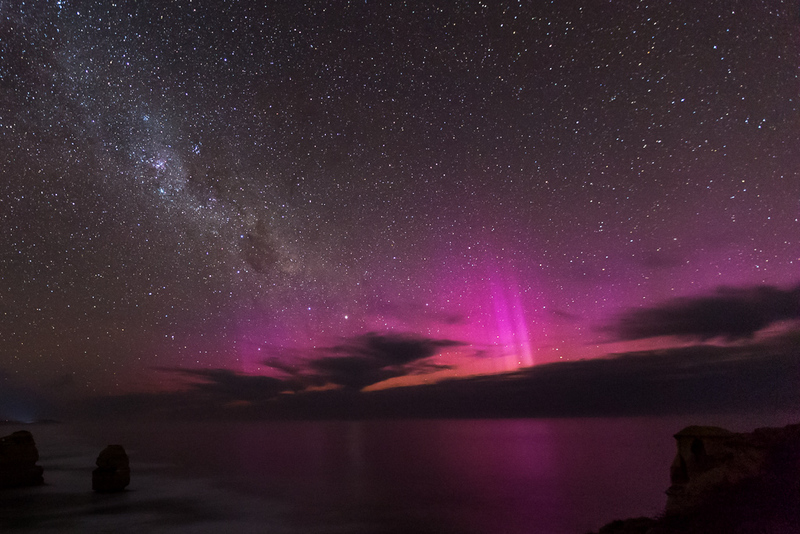 Fantastic photos of the Aurora – how lucky to be in the right place, and you didn’t even know it. 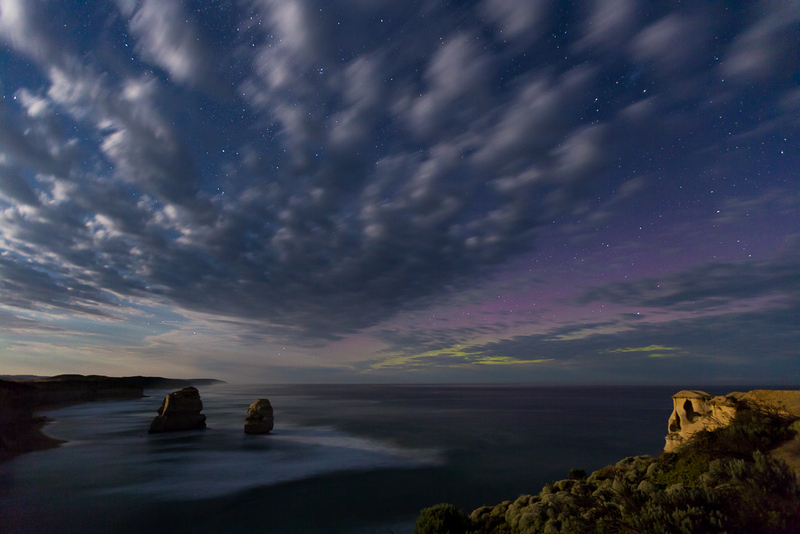 I didn’t think it was possible to see the Aurora in Victoria; it seems like you can’t, really, unless you use a long photographic exposure – fascinating. 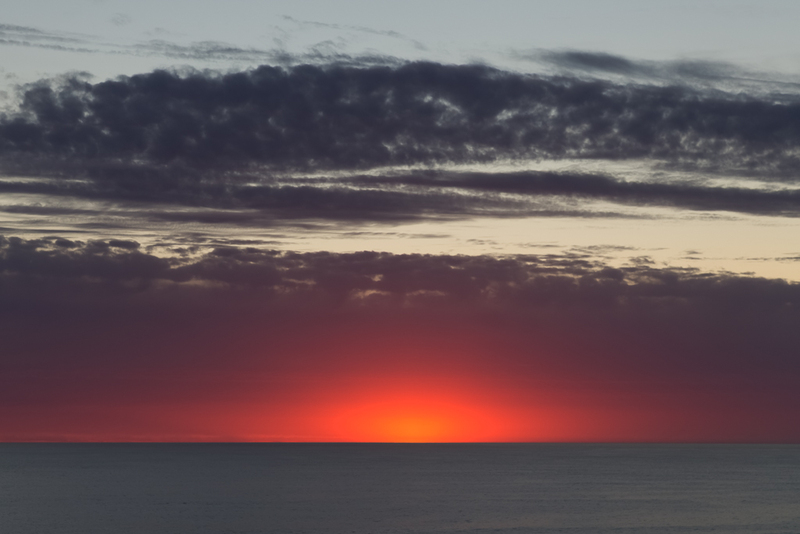 The sunset over the ocean was good, too, and they reckon you need to go to Western Australia for that. What a beautiful New Year’s Eve! Thanks! I’ve been taking photos on and off for about 30 years, so I’m still not sure how I’ve missed out on this aurora business?! I assumed also in order to see it I’d have to be surrounded by ice somewhere, not 20 C in Victoria 🙂 The night photography is a bit of a balancing act though. I’d have preferred longer shutter speeds, but they’ve got to be under 30 seconds, otherwise there are star trails in image. If I was more prepared, I would have run some longer exposures, allowed the star trails, but see what the aurora would look like after about 3 minutes of the shutter being open 🙂 Oh well, another day! I saw the aurora in Norway, and it was amazing, but I was quite surprised at how much duller the colour was to the naked eye, even in the Arctic Circle. When the aurora activity first started it was like a faint milky glow, which I wouldn’t have noticed if I didn’t have a guide. 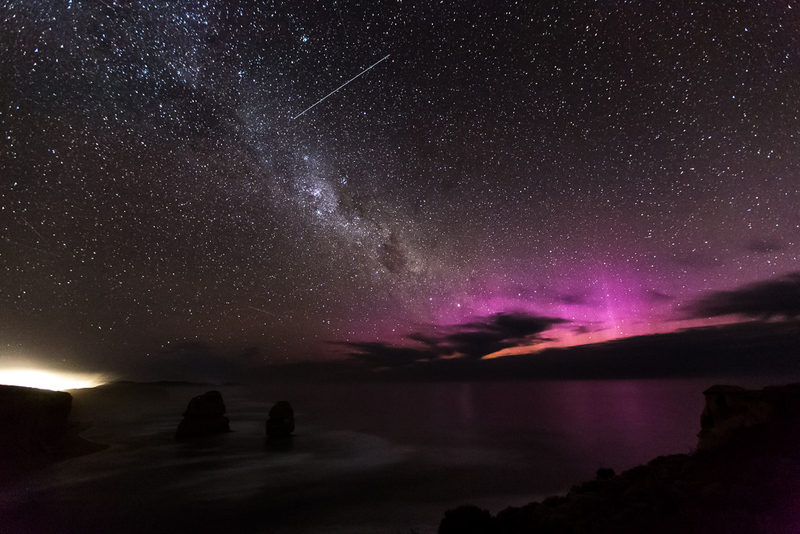 Then the auroral activity picked up around midnight, with long ribbons of green and pink beams moving across the sky. It was awesome! But fancy photography had definitely amped up my expectations about the colours you would see. I thought auroras were only seen in the northern cold countries. How interesting to learn that you have them there as well. Also, what a great way of ringing in the New Year. Fantastic photos and post. What a way to spend NYE or any evening for that matter. I have a bridge camera (Nikon P500, not SLR) and have been trying to get similar low light shots but looking at the configuration that you’ve mentioned I realised it’s not possible to get long exposure shots. So will have to try something different – any tips will help. Thanks! Certainly a different way of bringing in a New Year. I’d also consider it again at the end of this year, as it beats hanging around the city or suburbs. Yeah, I’ve only used DSLR’s for night shots, so not sure how the settings would apply to bridge cameras? It’s all about being able to up the ISO. This can be problematic on a camera with a smaller sensor. ISO 3200 is a lot different in the result on my camera compared to one with a smaller sensor. So much improvement in cameras these days though. If I think back to my old Lumix I used in the early days of blogging, anything over 400 ISO was noisy 🙂 Also, the need to have a long shutter setting. Not sure if all cameras can do that? It’s all hit and miss. Although the base setting for these photos was 30 seconds, I did a few between 20-25 seconds just to avoid any star trails. Then when the moon arrived and the light became bright I worked my way back to ISO 800. A big difference.